Couples who are about to have a baby soon, rely mostly on their doctors and the result of the ultrasound procedure done if their baby is growing continuously inside the woman’s tummy and the estimated measurement of length, weight and head circumference. 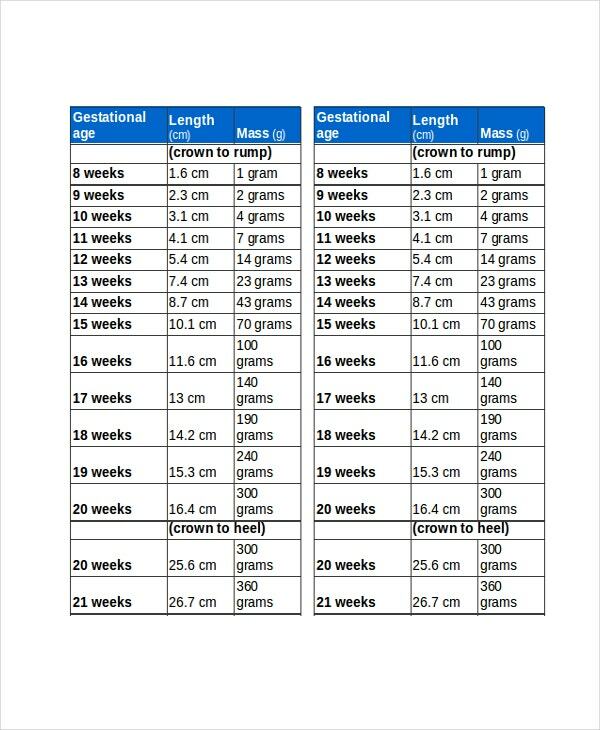 Even if your child is still in your womb, the more you have to know how they are and if the growth is still right and it will help you a lot by using Unborn baby growth chart. 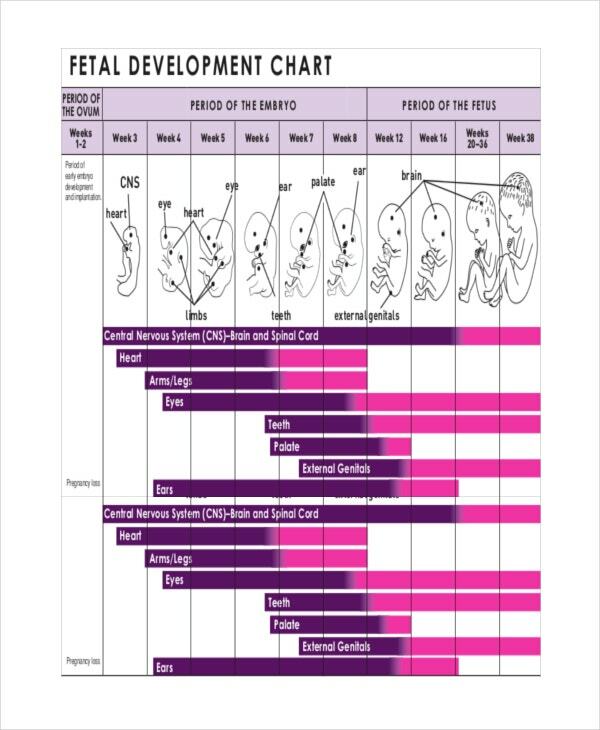 The chart gives you details of your baby’s development while still inside. You can also see Baby Growth Chart Templates. To check for the fetus weight that conforms to the normal requirement of the general population, unborn baby weight chart will be there to help the parents and caregivers to evaluate if the babies weight is appropriate to their age. 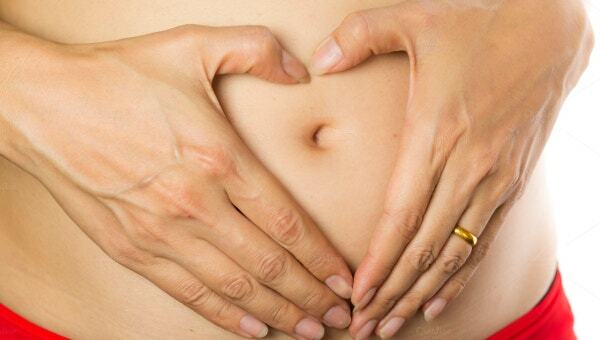 It relies on the mother’s weight versus the expected weight of the fetus on the assessment. Following what your baby is doing inside you can make you feel better and at ease. 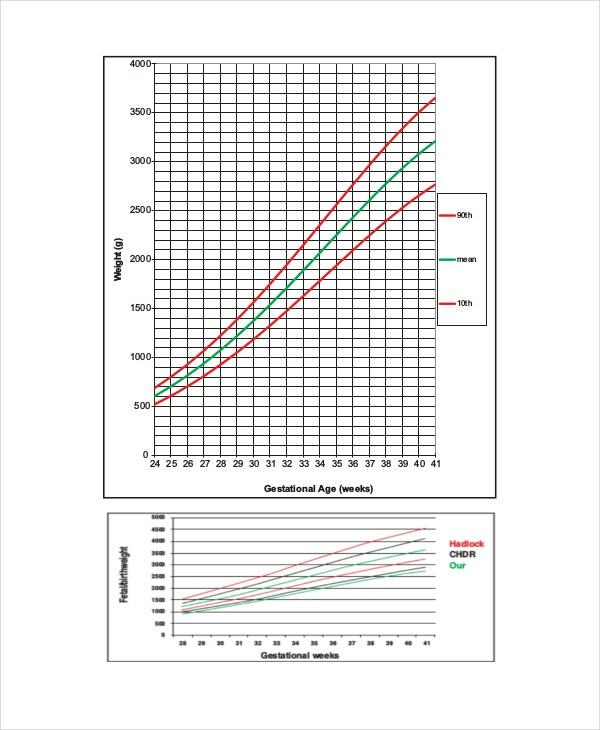 Moreover, if you want to know your baby’s growth if normal as he or she comes out full term is possible with a guiding tool known as Unborn Baby Growth Chart in Excel. Parents can download the tool via online and use it at home for their reference and the format is easy to understand and keep the record of your unborn baby in one file. 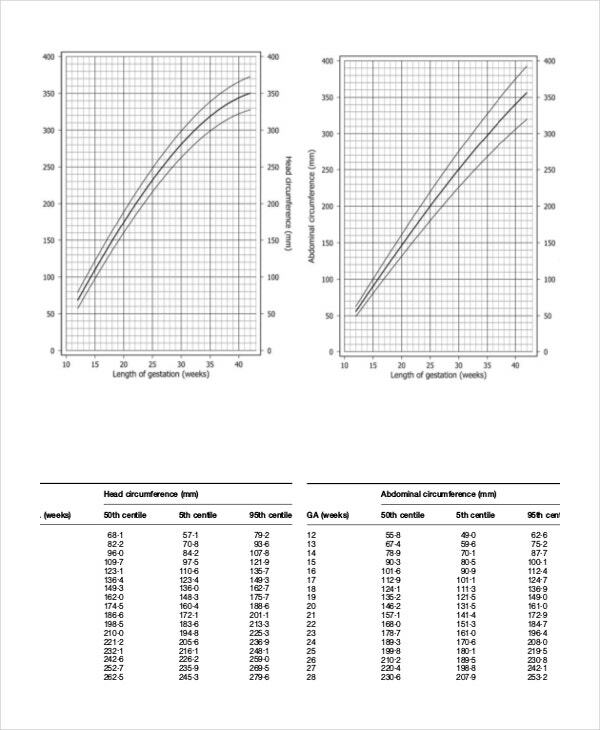 Fetus weight and length that are measured in response to the standard protocol must have an unborn baby growth percentile chart that have the average data of the fetus development for the whole trimester of pregnancy. 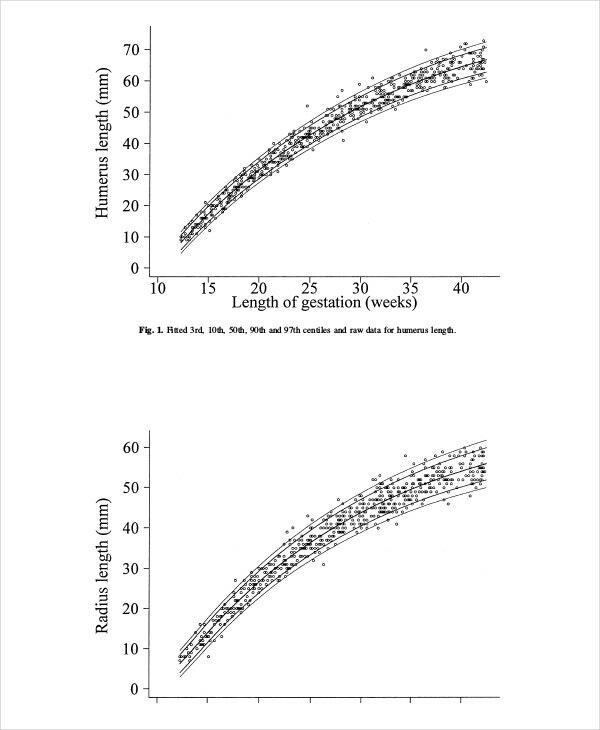 Here the usual percentile of the fetus growth can be compared to the unborn baby data. Measurement of the fundal height and weight of the mother is taken for specific weeks that are when unborn baby growth chart week by week will take place. The information here all set for the fetus weight and height based on the measurement taken by a medical practitioner that is assessing a pregnant mother’s health status. Fetus weight and height are sensitive to the mother’s activities like their food intake, activity and regular metabolism to compensate to their ever developing vital organs until they are born. Their growth is all based on their mothers care and nutritional intake even if they are still inside their womb. Here the chart is referred to as the reliable tool in inquiring for any abnormalities that must be taken seriously by the health care giver and by the parents so there will be no problems that may happen when they are about to get born. It is a health assessment tool that must be used by all pregnant mothers who want to make sure their baby inside is healthy. Use a worksheet that will suit for the said chart. The details that will be entered can be a compilation of all the information you have searched for the unborn baby growth chart. Both this tools will be your ace to have a handy growth chart. 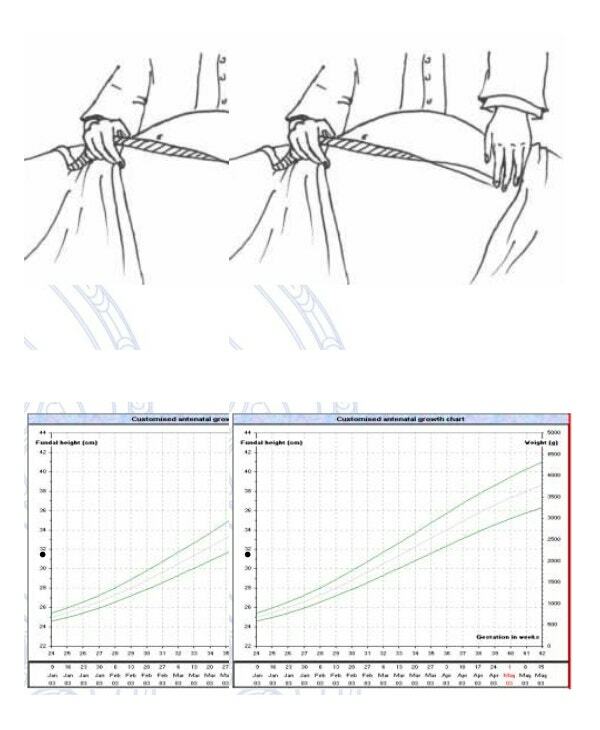 To properly apply the tool for the fetus growth chart, use the format and content given by the World Health Organization for making the appropriate for the user’s task. 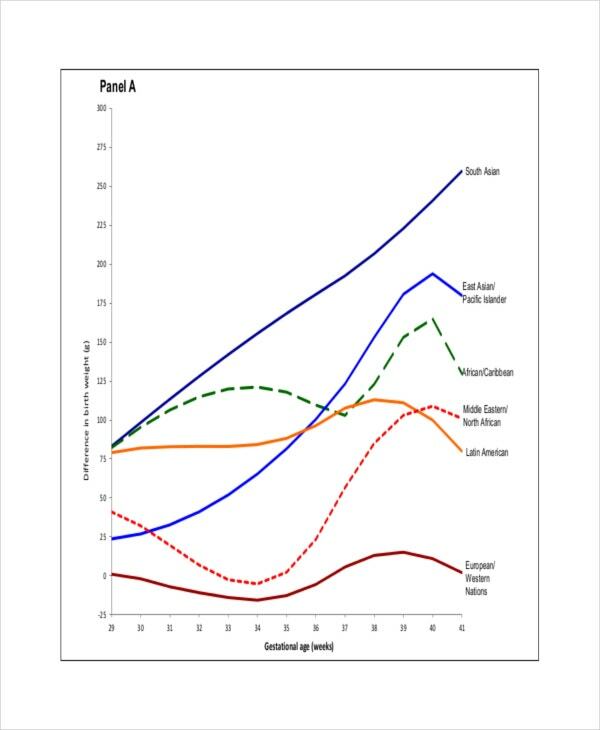 You can download the chart in example format where it can be directly relate in the task you have in monitoring the growth of the baby inside the mother’s womb. All of the data here are all what is expected to have in nursing a fetus in the whole month of pregnancy.